With four wins from a possible five, Hartpury RFC are in comfortably their best form since arriving in the Greene King IPA Championship at the beginning of last season. However, expectations for the weekend ahead will be tempered by the knowledge that obstacles do not get much bigger than a visit to the Madejski Stadium, Reading, home of the champions-in-waiting, London Irish. Indeed, the Exiles, who have lost only twice this season, have the opportunity to confirm their return to the Premiership in this fixture, with their only rivals – Ealing Trailfinders – facing a tricky trip to Jersey into the bargain. Irish are a full 22 points clear of the third-placed placed Championship club, Jersey, and three points further still ahead of Bedford. It is those two teams who have been the most recent victims of Hartpury’s late-season resurgence, with a nip-and-tuck 28-26 win over the Blues being the most recent result. 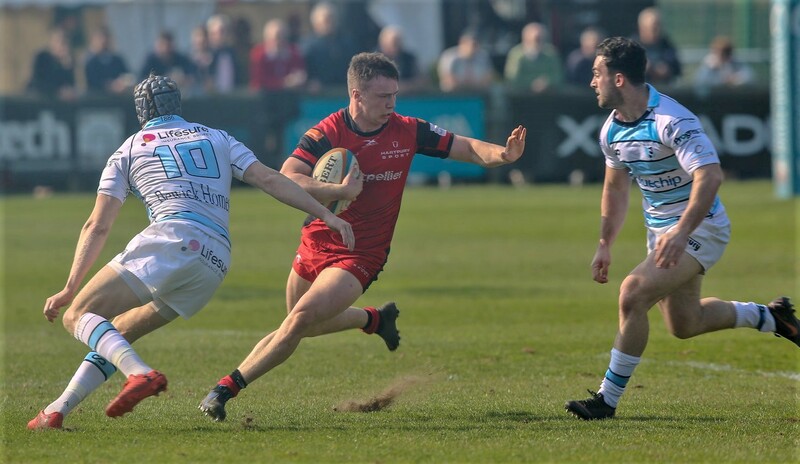 Hartpury have had the luxury of choosing from a strong squad in recent weeks, but – despite no Championship fixture last weekend – both student rugby and commitments elsewhere, such as the Premier Shield, have taken their toll. Hartpury will be hoping that players such as exciting young centre, Charlie Powell (pictured), will be available and will announce the squad on Friday. The match will be played on Sunday, 14th April, and kicks off at 3pm.